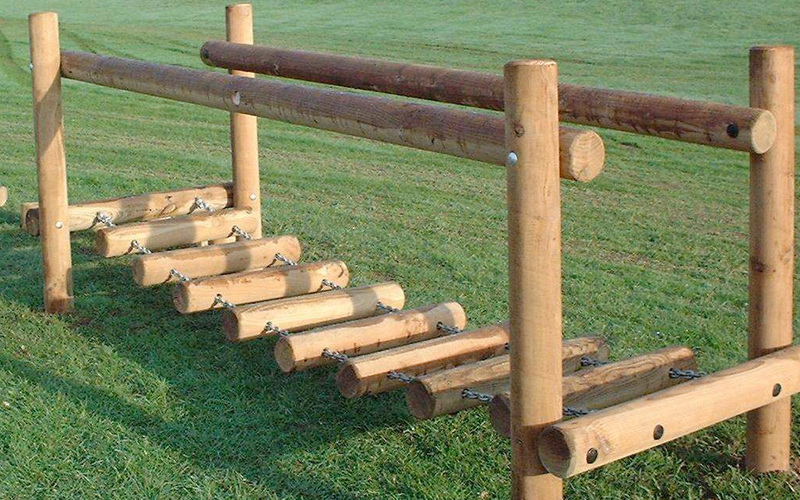 The Log Bridge is safe on grass. 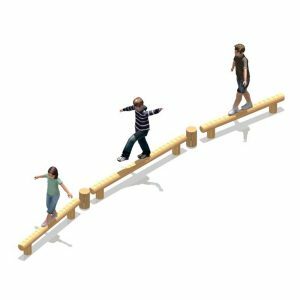 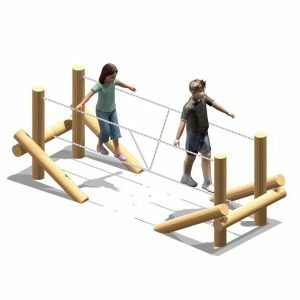 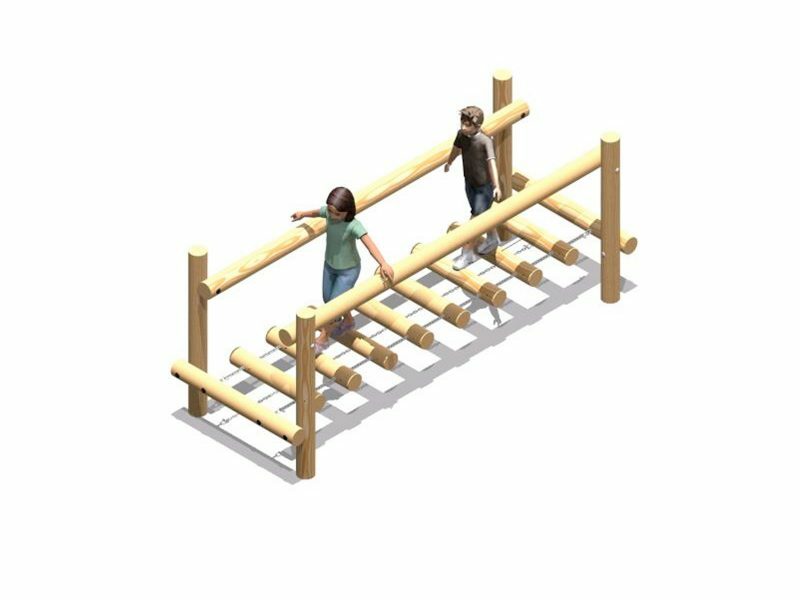 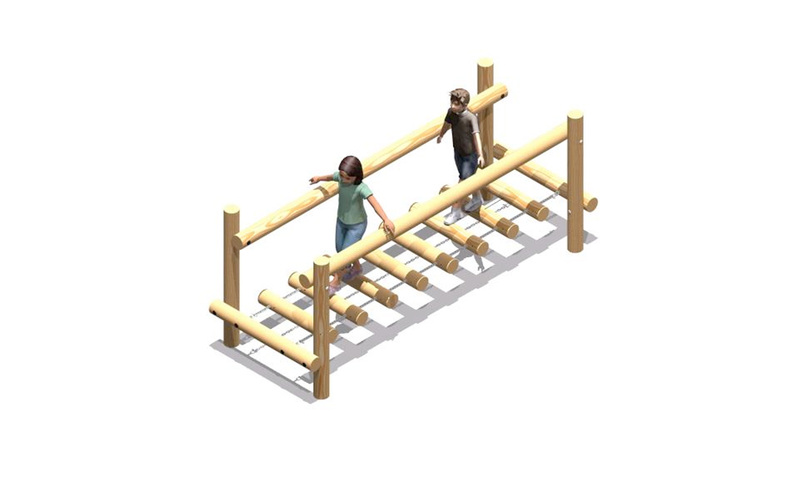 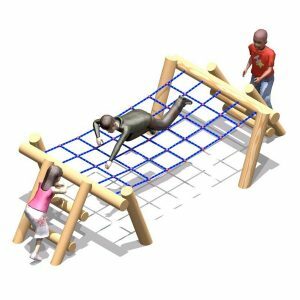 Similar in design to the Clatterbridge and Bumpy Clatterbridge, the Log Bridge is also suitable for use by several people at the same time. 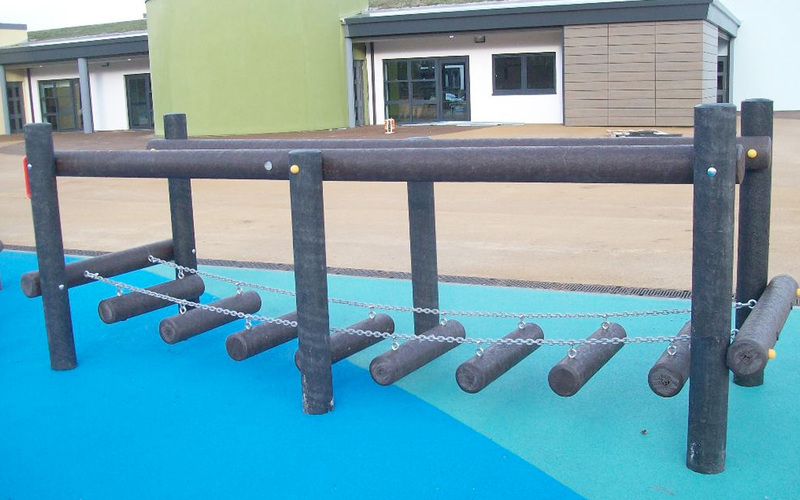 The bridge itself is manufactured using heavy-duty round logs, giving a different under-foot feel for the user. 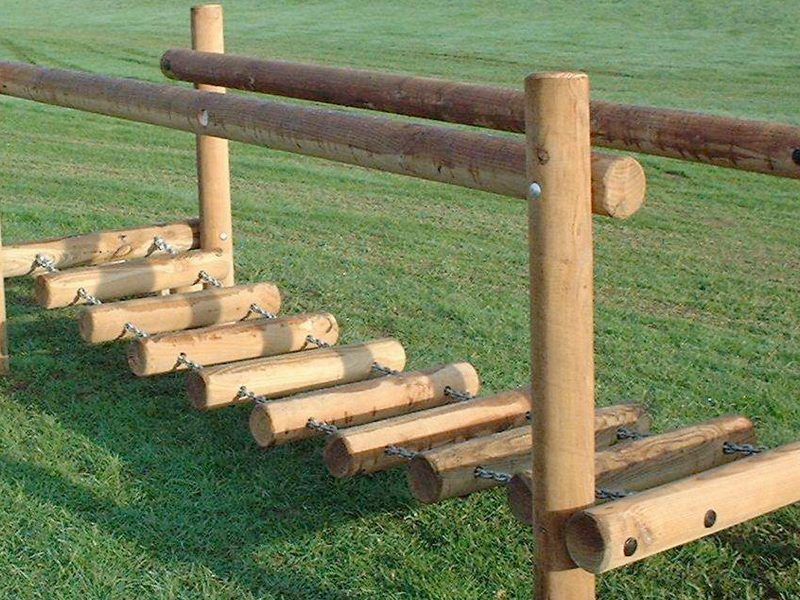 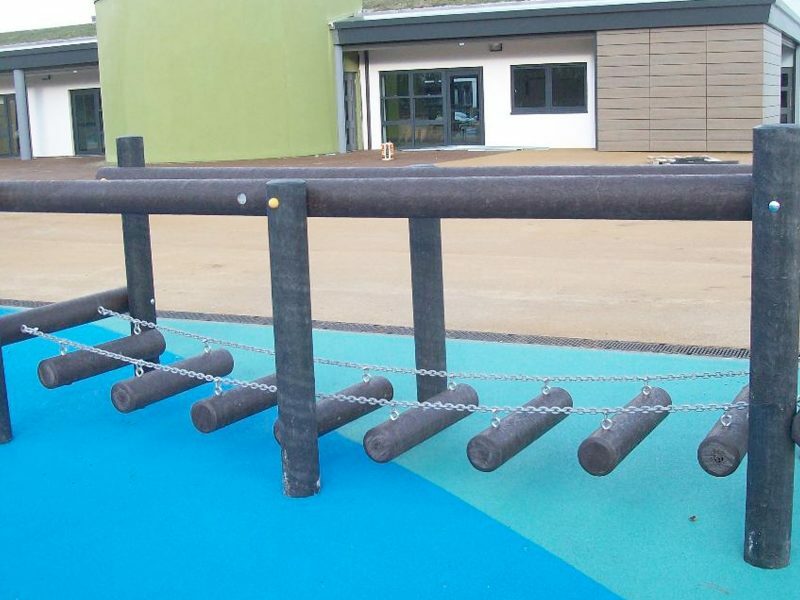 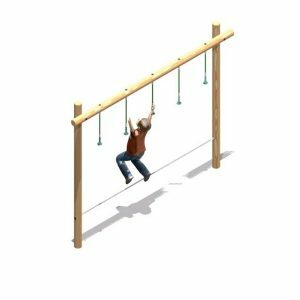 A mini version (1.8m length) of the Log Bridge is also available.